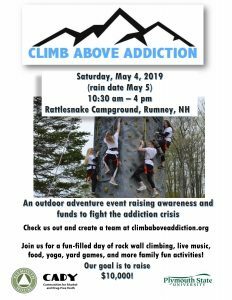 Please consider being a part of this incredible event! Learn more by clicking on this link below! TIGER’s Alex’s Story(A CADY sponsored program) are so thankful! Book a TIGER performance in March through May 2019 and receive 15% off the performance price. We Are Excited About Our New TIGER Production! 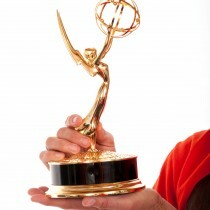 This show encourages Kindergarten through sixth-grade youth to be resilient and to stand up for themselves and others. Brand New Day is already receiving RAVE reviews in our schools. Call us today to reserve your touring date at our Fall discount price! If you have never had TIGER before, please contact us to ask about our limited scholarships! Please call (1-603-535-2647) or email (tiger-psu@plymouth.edu) anytime for information or to book for this Season! TIGER is very excited to offer this new middle school musical play geared to grades 6-9 across New England. Available Fall 2018! Click on the LOGO or TITLE to see more. TIGER’s NEW Middle School offering was written by Jillian Palmieri, with new music by Tom Dowd and original lyrics by Trish Lindberg. It is a collaboration between TIGER and Bystander: A Portrait in Apathy, based in New Jersey. 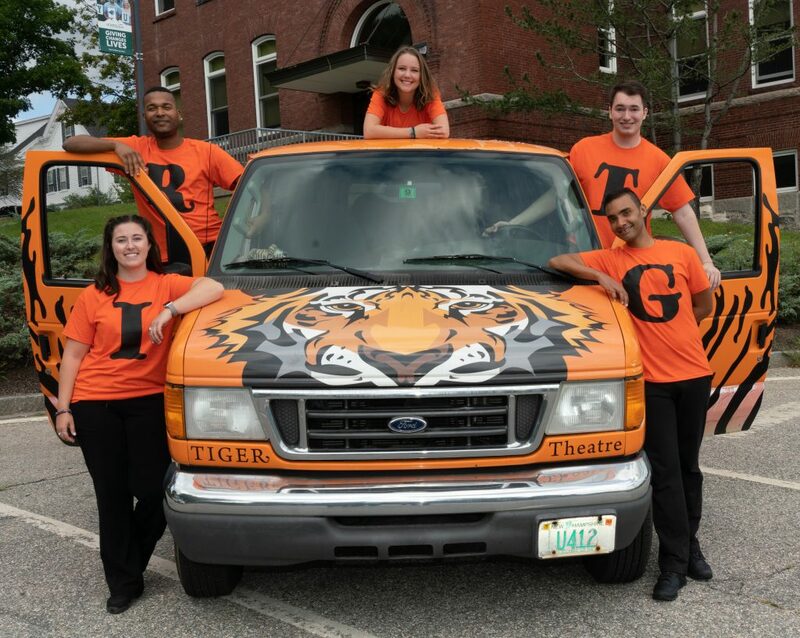 TIGER is a non-profit professional theatre company designed to help children, schools, parents, and communities deal proactively and positively with social issues and concerns facing children in schools today. Make a tax-deductible donation to support TIGER today! If you are interested in viewing a performance please contact the TIGER office to make arrangements to view a show in your area. Often we can help to coordinate partnering with another school in your area in order to help both schools take advantage of the multi-performance discounts. TIGER Lair Video- Take a peek at some of what we do!